Polenth Blake is reporting they have been paid by Galaktika Magazine for the publication of their (translated) story, Never the Same. They say they were offered copies in lieu of payment, then told $20 was the new standard monetary payment, but they requested $50 and were paid accordingly. Doug Smith had originally listed Galaktika's payment terms as $50-$100 per short story plus contributor copies. I strongly encourage authors published in the bigger SF/F magazines in the US or England since the early 2000s to check the Galaktika Bibliography and make certain their work is not among those that were stolen. Primary targets were big name magazines that offered some or all of their content for free online at some point following the initial publication (Strange Horizons, Clarkesworld, Asmiov's, Analog, etc). Other typical targets are folks who were published in slightly older anthologies, that then posted their short stories on their blog at a later date. Several things happened this morning in regard to Galaktika Magazine. First, Katalin Mund, manager of Galaktika Magazine responded to Cat Rambo's request for further clarification on several points following the initial statement made by Istvan Burger on Friday. Second, I was contacted by Eric Brown, who told me his story, The Time-lapsed Man (Interzone #24 1988) had been published without his permission in a 1994 issue of Galaktika. Mr. Brown's story was stolen during the first iteration of Galaktika - when it was owned by Mora Publishing, and run by Péter Kuczka and Judit Trethon (who have both passed away in recent years). At first I wondered whether to even mention this. As Metropolis Media has made clear to Mr. Brown, they do not have any responsibility for the actions of the previous publishing house. And (as Malcolm Cross pointed out in a previous post) Galaktika was originally published in a much different political and economic climate. With the folks involved in the theft of work during the '90s already gone, perhaps there isn't a point in bringing it up. But if we are to consider the legacy of Galaktika, we must also consider how the current publisher and staff members acquire their foreign work. That means considering how they intend to address the issue going forward. That is a question they have not addressed. I would really like to think that the offer to provide compensation for the authors whose work has been stolen indicates the problem has been resolved. Although requiring the individual authors be aware they've been stolen from and making them responsible for seeking payment does not seem a good faith step. They state it, but this is a flat-out lie. Nearly ALL back issues are available for ordering on the publisher’s webshop, http://galaktikabolt.hu/. I checked, and every issue from the year 2015 is available now. (The original article on mandiner.hu was about the magazine’s 2015 issues.) They're not digital copies, the physical, paper-based issues are still sold. At the very best, Mund and Galaktika are misrepresenting the situation regarding further sales of the pirated work. And this is key - they are selling that work. But Galaktika has been selling the work they've stolen, and using the names of big authors (folks like Tom Hanks and John Scalzi) to draw readers and add legitimacy to their publication. To represent that they will no longer be doing so is misleading at best and tends point to a continuing legacy of excuses and bad behavior. As Cat Rambo has posted on her blog today, Galaktika Magazine has responded to some of her questions regarding compensation to the authors whose work was stolen. It is important to note that authors whose work has been stolen must contact Galaktika. They also state that there is no need for work to be withdrawn as the print copies are no longer for sale. But there is no mention made of how they intend to address the chronic theft from this point forward. Following the publication of Bence Pintér's article on Galaktika's theft of short fiction during 2015, the publisher, István Burger, and editor, Attila Németh, came under scrutiny from the SF/F community. Their response was interesting. Then, on April 8, 2016, István Burger published a statement regarding the allegations made against Galaktika regarding theft of short stories published during 2015. Although he did not issue the statement in English (an interesting choice given that many of those effected by the theft of their work do not read Magyar), several online translation services offer up the following basic points. 1. The Mandiner article brought the unauthorized publication of the translated short stories to the attention of the international community and the Science Fiction and Fantasy Writers Association (SFWA). 2. Galaktika has tried to publish high quality SF/F from both Hungarian and international authors as part of the long-standing tradition of the magazine. 3. The staff has not acted with the proper diligence, caution or speed in regard to acquiring foreign rights. 4. Some sort of compensation is being offered to those affected by the theft of their work, but the specifics are not yet determined. Let me pause for a moment and say that the offer of compensation is a step in the right direction. However, neither Mr. Burger or Mr. Németh have addressed the underlying issue. This is a chronic and widespread issue of theft. It is not just the stories published in 2015 (of which there are many), but work that was published as far back as 2008. This pattern is more than a lack of diligence or caution or speed on the part of the publishing staff at Galaktika. It is not an occasional oversight or misunderstanding of previous contracts. This is habitual theft. Remember that the vast majority of these authors never submitted their work for consideration, there was no implication of giving their permission for the translation and publication of their stories in Galaktika. Rather, their work was copied from other, paying publications online without any attempt to contact the original publisher, editor or author, and then printed for profit in Galaktika. That is not a mistake, that is theft. And the question remains, what will Mr. Burger and Mr. Németh do going forward? 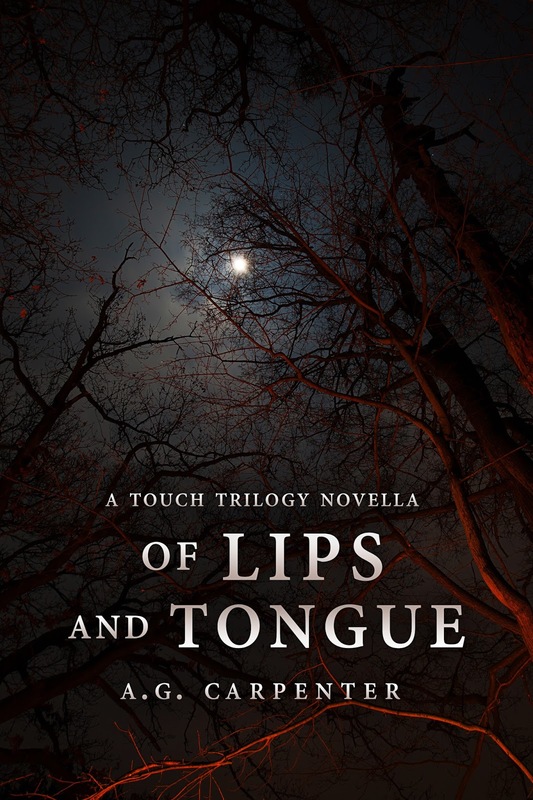 I'm pleased to announce that my Southern Gothic novella trilogy, Touch, is forthcoming from Falstaff Books. 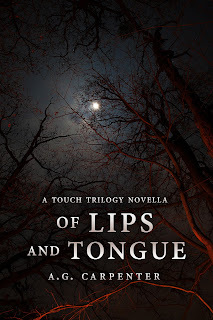 Today I can give you a look at the cover for the first book, Of Lips and Tongue, and a tiny peek at how it all begins. "On a hot July day, Mama went cracked, locked my sisters and me in the tool shed, and lit us up like a Christmas tree. Addie, being the eldest, tore apart every shelf looking for something to break down or pry open the door, but Mama was cleverer than that; all that was left was the jars of turpentine and cans of old paint and the stacks of paper that were meant for the church fundraiser. Smoke curled in around the edges and every board was lined in shimmering red. I knew, right then, we weren't getting out." Coming Soon from Falstaff Books! Istvan Burger, publisher of Metropolis Media and Galaktika Magazine, has issued a statement regarding the reports of massive theft of translated work over the past decade. It seems that Burger is offering to compensate authors effected by the theft and admits that the foreign acquisitions have been mishandled and they "did not act with due diligence, caution, or even speed." It is unclear whether they are intending to compensate ALL authors effected or only those who appeared in the 2015 issues. Tracking down the translators who were working for Galaktika during 2015 was a little more difficult than contacting the authors involved; all I had were the names in the bibliography and Google. The first few I tried didn't turn up anything immediately useful, but with a little more digging I was able to reach two of the translators who worked with Galaktika in 2015. The first (who had translated nine stories over the course of the year) said simply that they were not responsible for the rights involved in the stories. They would receive a request from the publisher (likely Attila Németh - the fiction editor at Galaktika) to translate a specific story, and would return the work once they were done. This was a pattern that was confirmed by the second editor. They had worked as a free lance translator for Galaktika for roughly two years and during that time they translated four short stories and two short novels - Close to Critical by Hal Clement (Astounding May, Jun, Jul 1958) and Back to the Future by George Gipe (Berkley, 1985). All of those translations (except for "Back to the Future") were given to them by Attila Németh. They said they approached Galaktika for work in 2013. They had already done a couple of translations of Terry Pratchett (with permission from Colin Smythe for the rights) and sent in a letter to ask about possible work. What happened next was eerily familiar. They said: "After a month (in October 2013) they had sent me an answer with a tryout - the short story by Jack London. I translated it, sent it back after about two weeks, and then silence. In January 2014 I accidentally stumbled upon my name in a book published by Metropolis Media - a short story collection by Jack London. So they actually published my text, but they didn't really care enough to tell me. I had to phone them and ask them for a payment which they provided in the form of some books, because I wasn't yet a freelancer at the time." It was a situation that did not change much even as they worked for them more regularly. " Attila Németh would send me a file without too much explanation and with no deadline, I would translate it, send it back to him, and they would publish it sooner or later. * After they edited the text, he would tell me - after I've bothered him for 3 or 4 times - how much they will pay to me, I would then give them my invoice, and if I was lucky, they would pay a month later, but only if I've phoned them after the payment was due. It happened twice that they only paid after I bothered them for two months." The files, they discovered, were simply taken from stories posted online. When they noticed errors in the text they were given and did a search via Google, they found the identical text online. Another Hungarian author I spoke with said they had sold work to Galaktika in 2006 for which they had received pro-rates, but had since stopped working with the magazine due to (among other things) other authors they knew personally not being paid for their work. They said their feeling was that Hungarian authors and translators had a better chance of being paid because they could always go to the Galaktika offices to demand what was owed. But the translator I spoke with said they had heard of other translators and Hungarian authors who had never been paid - a fact which was such common knowledge that when they told their friends about the work their first question was "And do they pay you?" They recounted calling István Burger "who was really cocky, like it was by his grace that I was allowed to work for them, because apparently it's him who sends everyone their money. So after Back to the Future I had enough." It would seem that Galaktika's bad behavior is not limited to the theft and piracy of English-language stories, but a deliberate and continuous pattern of behavior where they attempt to profit off the work of others while making as little compensation as possible to the authors and translators providing the material for the magazine. The translator concluded by referring to themself as a pawn and also added " I'm so sorry about what happened to these writers, and I'm even sorrier that I worked with them."